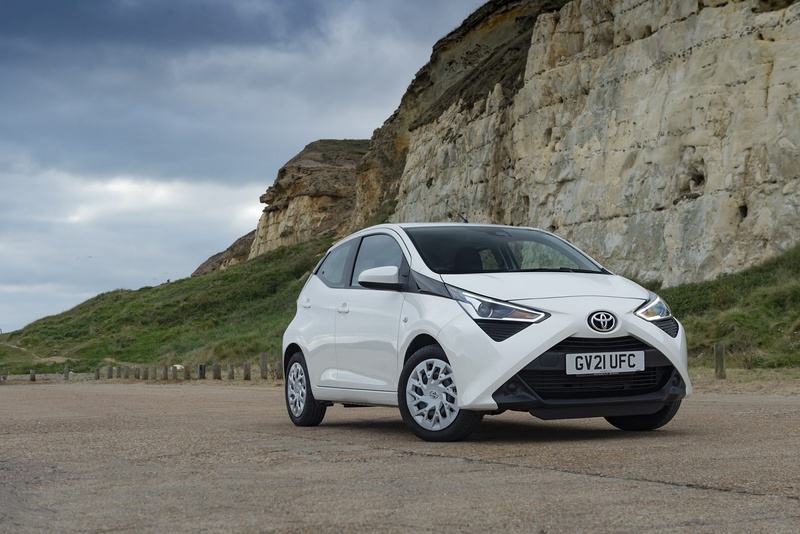 The improved second generation version of Toyota's Aygo should prove to be a stronger offering for the Japanese maker in the growing citycar sector. To keep its appeal current, the brand has delivered a smarter look inside and out, while enhancing refinement and efficiency. Plus customers have the option of the company's 'Safety Sense' radar-driven safety package. Other strong selling points include a neat connected touch screen system, plus as before, the ease with which this model can be personalised will attract younger buyers. In addition, as ever, there are minuscule running costs too. So, what makes a car feel 'fun'? Sprightly handling? Cheeky looks? Clever marketing? And can an urban runabout really qualify for purchase on those grounds? With this model, the second generation Toyota Aygo, we're told that it can. You might think you know this car but if you haven't tried this MK2 version, launched here in the Summer of 2014, then you probably don't. Yes, it shares many of its mechanicals with the original design. No, it's not the same. Let's start with the fundamental thing that hasn't changed. As before, this design has been produced as part of a joint Toyota/PSA Group venture that's also brought us French alternatives sharing most of this car's important bits - namely Peugeot's 108 and Citroen's C1. 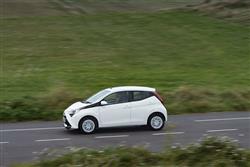 That was also the case with the first generation Aygo, but that car didn't make much attempt to differentiate itself. This one's very different. It's not only the look that's unique but also the very specific way you can personalise it to suit almost any kind of taste or preference. 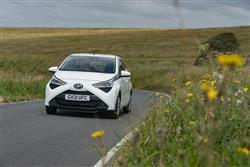 The engine is still the same 1.0-litre three cylinder petrol unit but Toyota claims to have given it better torque delivery at low speeds - and its output is slightly up to 71bhp. Cabin refinement has been improved too. Acceleration from rest to 62mph can be accomplished in 13.8 seconds, and top speed is 100mph. Otherwise, it's as you were. This car is supposed to be 'fun to drive'. But just how much 'fun' is it really possible to have in a car with just 71 braked horses beneath its bonnet? Actually, a surprising amount. For a start, the 998cc petrol unit sounds playful, its normally aspirated note filling the cabin with a characterful three cylinder thrum. 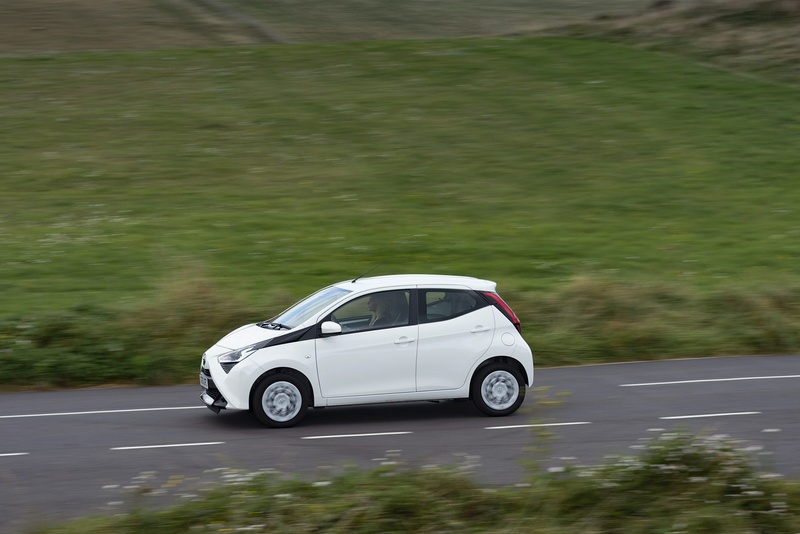 True, the long first and second gear ratios mean you'll have to rev it quite hard for meaningful progress but there's plenty of performance for town trips. You can get a self-shifting 'x-shift' gearbox as an option (we hesitate to call it an 'automatic'). Actually, it's what the engineers call an 'automated manual' gearbox that can be used in fully automatic mode, or with manual gear selection using paddle shifts or the shift lever itself. 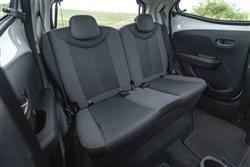 Could you comfortably venture further afield in this car? Potentially yes. Both wind and road noise have been more effectively suppressed at typical A-road speeds to make that more possible and you certainly notice the difference on the motorway. There doesn't though, seem to have been much effort put into isolating the engine note. 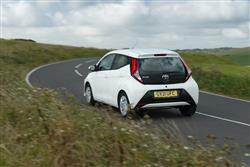 If anything, that's been emphasised as Toyota believes it contributes to this car's whole 'fun' ethos. This revised Aygo now has a fresher look, with its frontal "X" motif now transformed from a two-dimensional graphic into a more powerful, three-dimensional architectural element. The lower section of the X frames the front grille, while black, gloss black or silver ornamentation beneath the lights aims to accentuate the car's width. This update also includes redesigned headlight units with integral daytime running lights and there are now LED light guides at the rear and revised tail lamp clusters. Inside, there are updated instrument graphics and fresh fabrics. As before, the cabin features a trapezoidal-shaped centre console, with this design theme reflected in details such as the air vents, door trims and gear shift surround. The console supports a wide dashboard with a matt, anti-glare finish, set between slim A-pillars. The instrumentation features a meter made of up concentric rings which are permanently lit. It incorporates an easy-to-read central multi-information display. 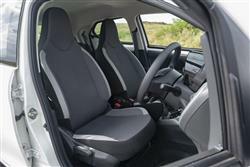 The very compact five-door bodystyle limits rear seat accommodation, but it's fine by class standards. The boot's still pretty small though, 186-litres in size. Prices range from just under £10,000 to around £15,000 and there's a £500 premium if you want to go from the three-door to the five-door bodystyle. The revised trim range starts at 'x', then rises through 'x-play' and 'x-press' to 'x-plore', 'x-cite' and 'x-clusiv'. Avoid entry-level trim and, for £375 more, you'll be offered the option of adding in the 'Toyota Safety Sense' package of active safety features, including a Pre-Collision System, Autonomous Emergency Braking and Lane Departure Alert. Dealers expect the 'x-press' and 'x-plore' variants to be especially popular, these derivatives making good use of this second generaion Aygo model's scope for personalisation. The 'x-press' sports a bright red front bumper, with further red trim on the roof, the side sills and the rear diffuser. The reason that variants like this are so easy for Toyota to create is that this MK2 model Aygo has been designed to feature clip-on interior and exterior panels that can be swapped at will. Inside, the instrument panel, centre console, air vent, shift knob and gear lever surround all feature sections that can easily be changed. 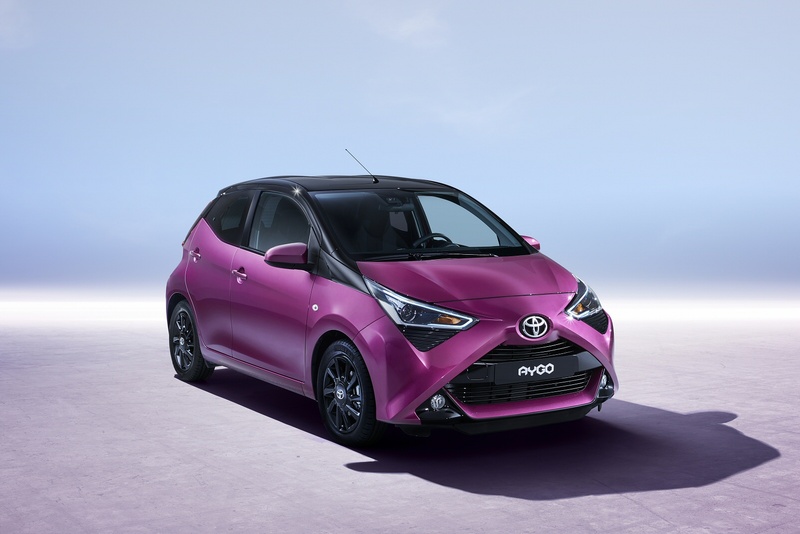 To try to keep things easier for the customer and to offer better value, Toyota has also created a range of exterior and interior styling packs, rather than forcing people to select piece-by-piece customisation. If you haven't yet tried this current generation model, you'll also be impressed by Toyota's x-touch multimedia system - a fully integrated seven-inch touch screen that features on most models. It incorporates a rear view camera as standard and uses a five-function main menu, giving easy control of audio, phone, connectivity, vehicle and journey information functions. Customers will also be able to access a wide choice of navigation and social media applications. You'll need to make sure your smartphone has a generous data plan if you're going to get the best of it. Toyota's award-winning 998cc three-cylinder, 12-valve DOHC engine now meets Euro 6.2 emissions standards. Revisions have achieved a better balance of power and fuel efficiency, thanks to a new dual fuel injector system, a higher compression ratio, new low-friction components and a cooled exhaust gas recirculation system. You'll be expecting very low running costs here - and by and large, you'll get them. Expect 72.4mpg on the combined cycle. 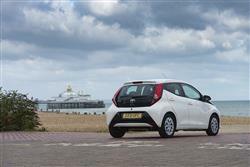 Couple that economy with a 35-litre fuel tank and you have a vehicle with a range of over 530 miles, which given typically small citycar annual mileages will probably mean you won't get on first name terms with the staff at your local filling station. CO2 emissions meanwhile, are rated at well under 100g/km. What else? Well there's no diesel option of course. I say 'of course' because the figures show that 90% of citycar buyers historically haven't wanted to pay the premium for fuelling from the black pump and there seems no prospect of that attitude changing very soon. And residual values? Well, they may not be quite as strong as those commanded by a Volkswagen up! 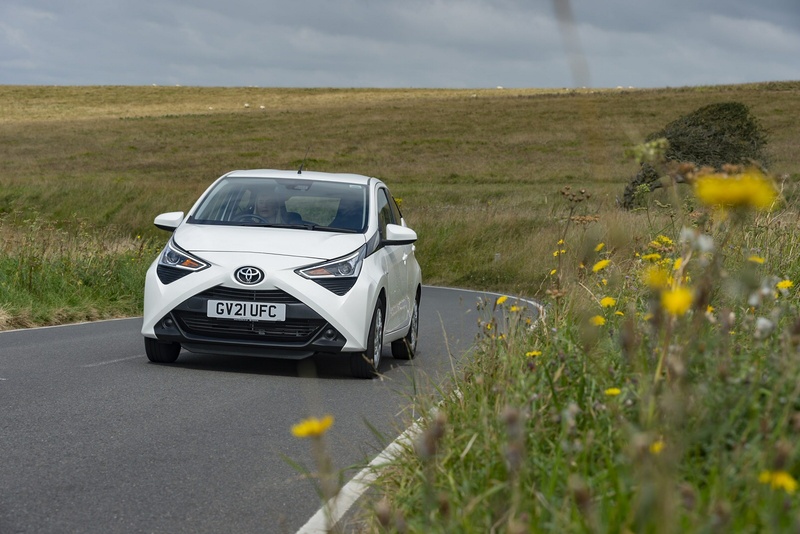 but once you've had a chat with your friendly Toyota dealer, you'll probably end up paying less for an Aygo, which will sort that out anyway. And depreciation on this car has traditionally been slightly less than is the case with its Peugeot and Citroen design stablemates. Insurance is rated at group 3E. 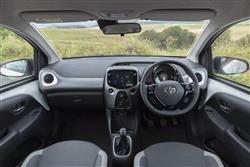 If you�re looking for a new Toyota AYGO 1.0 VVT-i X-Play 5dr [X-nav] x-shift Petrol Hatchback for sale, you�ve come to the right place. 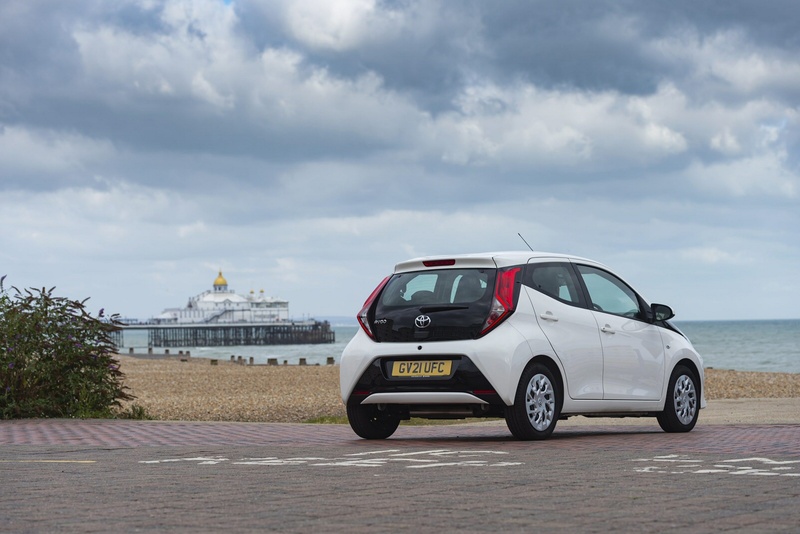 At Bristol Street Motors we don�t just have the best Toyota AYGO 1.0 VVT-i X-Play 5dr [X-nav] x-shift Petrol Hatchback deals, we also offer friendly advice and help with all your enquiries to ensure your buying experience is a happy experience.